"Wasteland Tour 2018/2019" has definitely been our best one yet in very many respects. The autumn edition of 2018 was our greatest success and this year's spring leg has only added to that. It was really lovely to meet all of our friends and we'd like to thank you here for your support, devotion, and loyalty. It was also a great pleasure to meet those of you who came to our shows for the first time. A lot of you are quite young (not only at heart! ), which means we must be doing alright. All in all, we've received a massive load of positive energy and made memories that will stay with us for ever. A big thanks also goes to Lesoir for being excellent companions and playing great shows. We wish you every success! Thank you, Europe, for this wonderful time. Naturally, we're going to see each other here and there during a few summer festivals and one-off concerts, and then, in September, at more intimate shows in Poland and Germany, but another big European tour won't happen until after the release of our new album. Meanwhile, we're getting ready for our biggest tour in the USA and Canada. Hey, you, on the other side of the Pond, do you still remember us? Our warmest regards to all of you. Thanks for being with us. We are happy to announce a string of long awaited vinyl re-releases for our second, third and fourth albums “Second Life Syndrome” (2005, 2-LP), “Rapid Eye Movement” (2007, 2-LP + bonus tracks) and “Anno Domini High Definition” (2009, 1-LP) out March 15th, 2019 via InsideOutMusic. 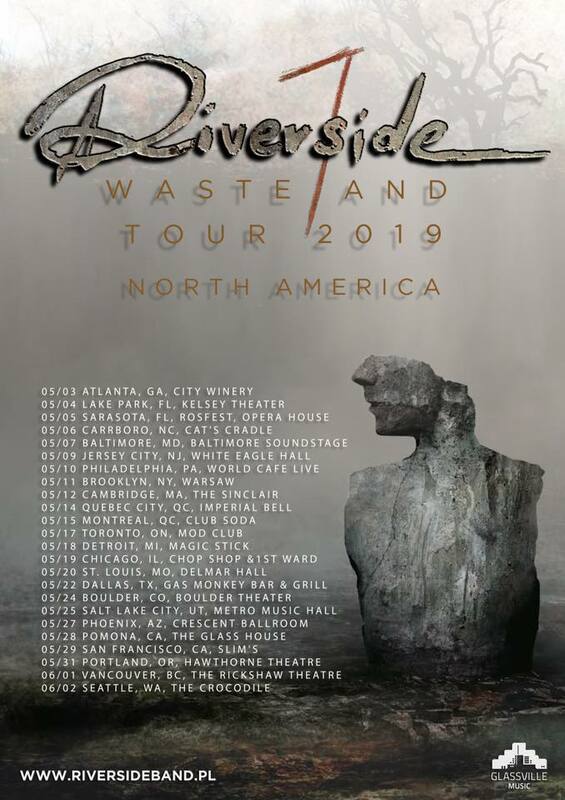 "Wasteland Tour" is coming back in Spring 2019. 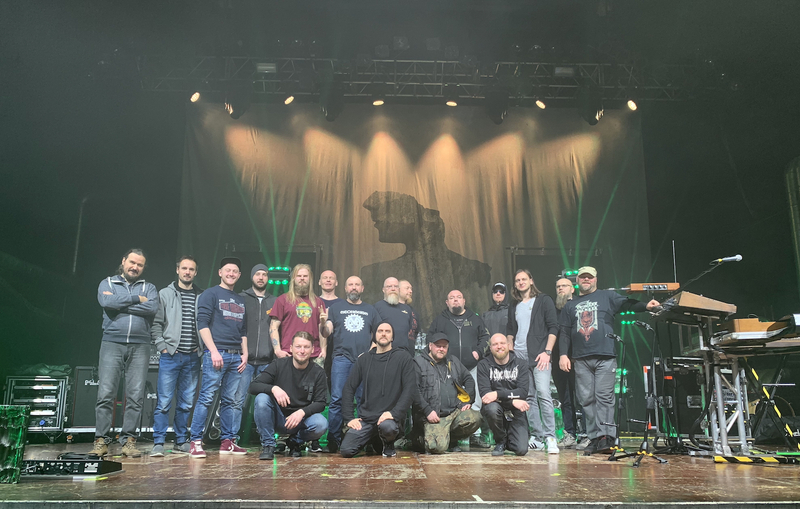 The concert during Gloomaar Festival in Germany finished this year's European leg of the "Wasteland Tour 2018". Thanks to everyone for the awesome reception of our new album and for the fantastic turnout at our concerts (yes, the Riverside family has certainly grown :)) Thank you for your loyalty, support and trust, for crowd singing, for chats before and after, for sharing all the emotions. "Wasteland Tour" is definitely a new beginning in our career, a step forward and at least a few rungs up. And it's all thanks to your involvement. It's great to know that we can still boast the best Audience in the world. In March and April 2019 we will continue our European adventure and soon we will announce new countries and dates on top of Scandinavia, the UK and the Netherlands. We are also happy to let you know that in May 2019 we will start touring the USA and Canada. More details soon and for now we're signing off together with our amazing crew, without whom we would not have gone so far. We'd also like to wish every success to MECHANISM, the band who have been truly great companions during our latest journey. 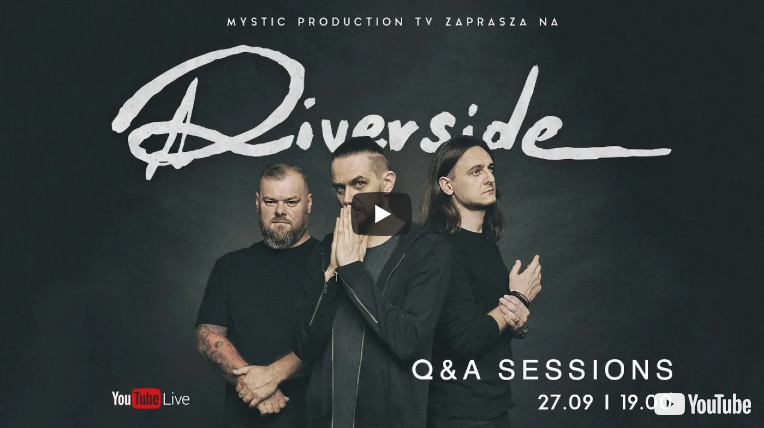 Hello, we are pleased to announce that our "Q and A Session", which took place the day before the premiere of the new album - "Wasteland", is now available to. Mariusz and Michał answered the question. It’s all happening with the full blessing of the band, the fan club will be run by a bunch of trusted, ambitious, creative people, and we can assure you that it’s only just the start. The fan club will be linked with our official store and, what’s most important, it will be bilingual. Listen to the new song “Lament” from our forthcoming brand new album “Wasteland” (out September 28th) and check out the amazing video made by our friends from Sightsphere. Check out our new song 'River Down Below' from the upcoming, seventh studio album 'Wasteland' (out on September 28th, 2018). 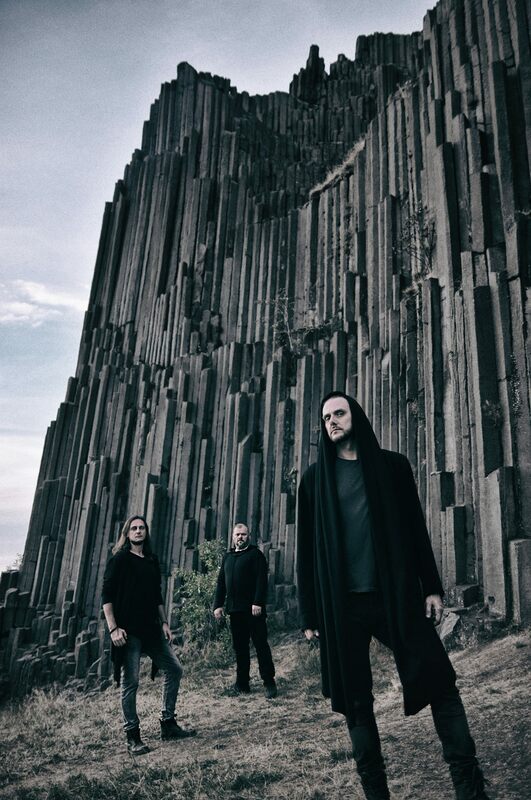 Mariusz Duda checked in with the following comment about the track: "'River Down Below' is another song we've written with 'river' in the title, the fourth one, if I'm not mistaken. In our case, river symbolises memory and that's the case here as well. The lyrics tell the story of a wanderer, who accidentally finds the grave of one of those who didn't manage to survive the apocalypse. He hears a voice, "take me from here, take me to the river, that's where I belong..."
"If the band continue to exist, the memory of Grudzień will survive", said one of my friends when I thought it was the end of RIVERSIDE. So there had to be a track on the new album that would refer to it. Not literally. It's still a story about the world in an alternative future, but you can find that reference between the lines. It's a very simple, delicate, and at the same time incredibly powerful song; one of the most beautiful RIVERSIDE melodies I have managed to write, with a brilliant solo by one of our guests, Maciej Meller. We have always subscribed to the idea that there's great power in simplicity. "River Down Below" showcases the essence of our music and gives an idea of the emotions which can be found on our upcoming new release. 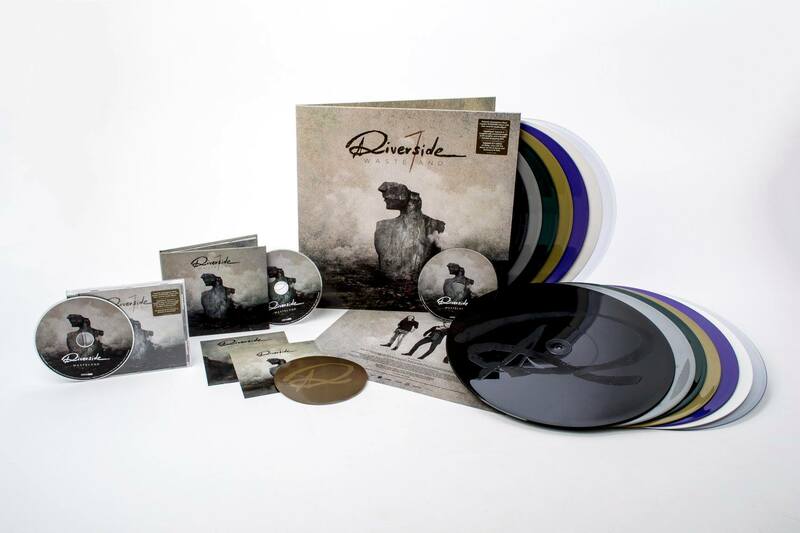 RIVERSIDE are back in the game. The band who have been around since 2001, who have so far released six long-players, a compilation, two mini-albums and two live albums, and who have played numerous tours across the world. 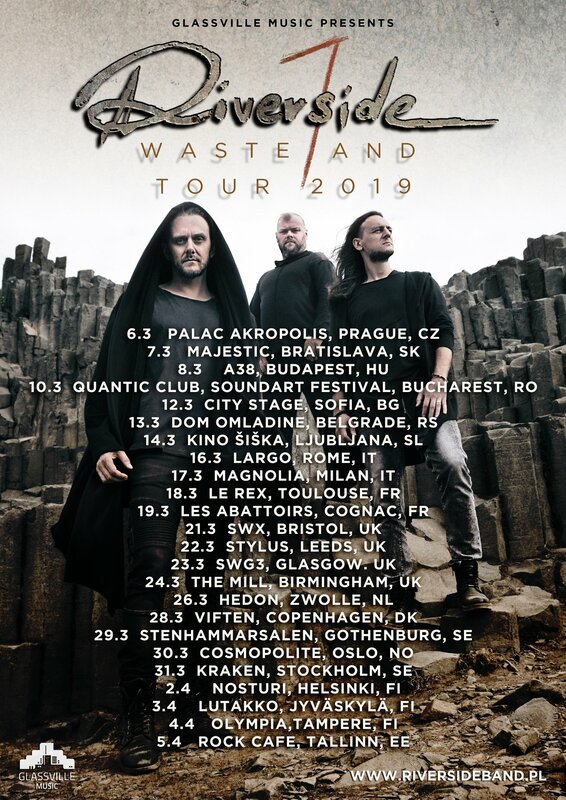 That band is coming back this year with their seventh studio album called "Wasteland", recorded as a trio: Mariusz Duda – vocals, guitars and basses, Piotr Kozieradzki – drums, Michał Łapaj – keyboards and Hammond organ. "I remember the moment when we officially announced that we would continue as a trio," says Mariusz Duda, "We were doing a photoshoot at the Polish seaside. I said to the guys, 'Let's remember that this is just the beginning. Many of our fans can't imagine an album without Grudzień and for some of them the band ceased to exist when he died. We have to prove that we are able to survive not only by playing concerts but, most of all, by recording a new album.'" Earlier, in the spring of 2017, RIVERSIDE resumed playing live. 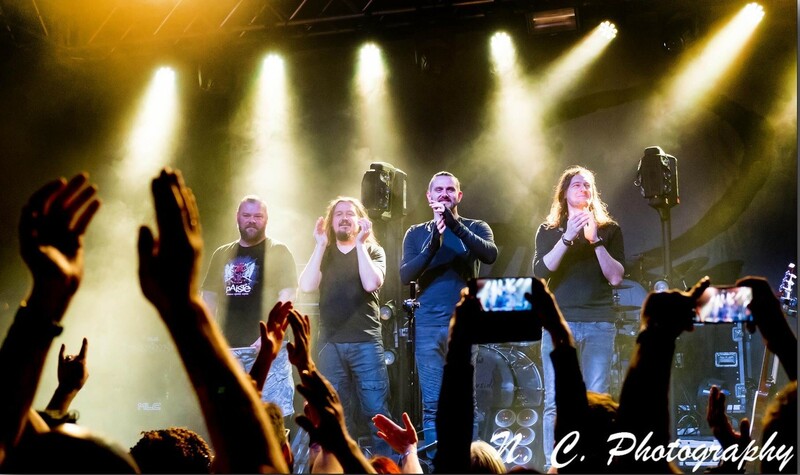 During the "Towards the Blue Horizon" tour the band were joined on stage by Maciej Meller who officially joined RIVERSIDE as their live guitarist. Why has he not become the official fourth member of the band? "It's not so simple," Duda explains, "To catch up with 15 years takes time. I love Maciej but everything has to have its place and time. For now we are a quartet only live." Back then, Duda had already had an idea for another release. To begin a new chapter of RIVERSIDE, they would have to record an album from the point of view of someone bereft, someone who has survived a tragedy. The fact that the album would be recorded without their guitarist might result in having to experiment musically a little more than usual but, most of all, it might translate into deeper symbolism and carry a more profound meaning. "I had a feeling we would be alright and we could make something beautiful and exceptional," he recalls. "'Wasteland' is undoubtedly one of the musically heavier and more emotional albums in our discography", says Michał Łapaj "In a way, it reaches the beginnings of our playing, there are lots of guitar riffs, darker elements and space. It's all combined with a new, raw sound that we had never had before, which makes the album quite an explosive mix. We're literally going through a second life syndrome and when we were recording this album, we consciously added some elements referring to our second studio release, which sort of makes 'Wasteland' a second part of 'SLS'". While writing lyrics for the new album, Mariusz decided on an idea for the titles of the first and the last tracks, which makes a very clear reference to "Second Life Syndrome". The album begins with "The Day After" and finishes with "The Night Before". Additionally, "Wasteland" begins with a-cappella vocals, just like the band's second release and both albums comprise nine compositions. The main theme of "Wasteland" is attempting to survive in a world after the Apocalypse, which is referred to in a few lyrics and song titles ("The Day After" is also the title of a post-apocalyptic film from 1983). On social media, Duda clearly admitted to being inspired by Cormac McCarthy's book, "The Road" as well as games from the "Fallout" series. However, the symbolism of the album refers not only to the post-apocalyptic visions of the world, but also to the death of Piotr Grudziński, to the band's attempt to find themselves in new circumstances, and, in general, to the current situation of the increasingly turbulent world full of new divisions and conflicts. "'Wasteland' is a big album," says Robert Srzednicki, the sound engineer and co-producer of the album. "It's emotional and full of contrasts. Serious and, for what it's worth, heavy, but at the same time extremely melodious and even potentially 'hit' in a way. The core sound is made by 'live' instruments. Sometimes spacious and soft, at other times raw and harsh. Starting from the incredibly extended drum kit through a very wide range of basses, acoustic and electric guitars, Hammond organs and analog synthesizers, to the whole spectrum of vocals." "I had never thought that after 17 years of RIVERSIDE, after 6 studio albums and a whole lot of different releases, I will feel again as if I was about to release the first album," says Piotr Kozieradzki "It feels to me like we're doing a 'second debut‘. A very important debut, almost as important as 'Out of Myself'. The album itself carries a lot of emotions which reflect everything that has been happening to the band for the past few years. 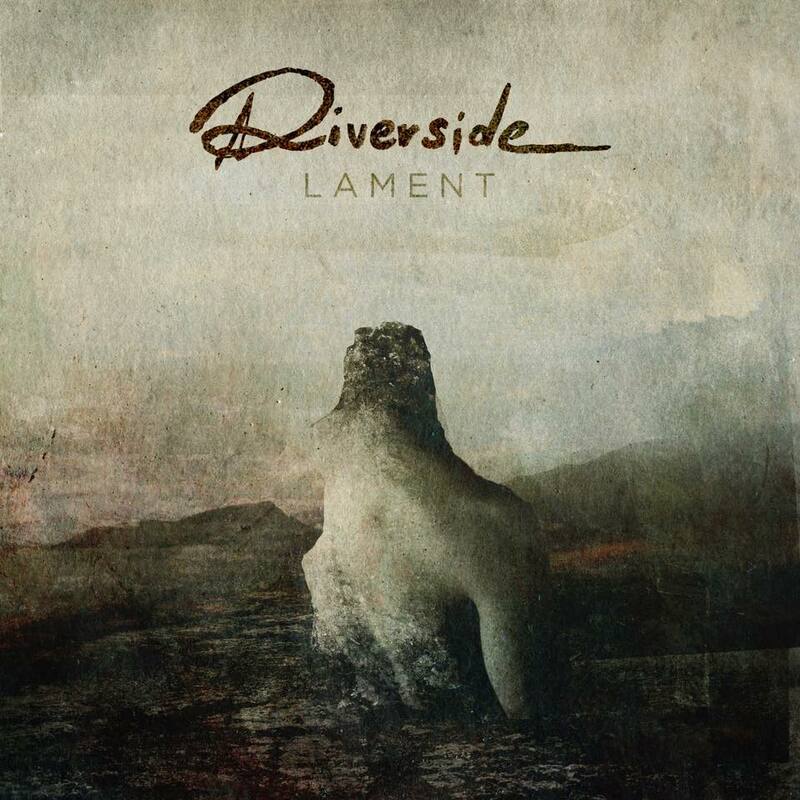 It's a much heavier and darker face of RIVERSIDE." There are a few key elements that make the new release a very original one. First: the characteristic and rather unusual overdriven sound of guitars and basses. Third: Mariusz Duda singing lower more often than ever before. Fourth: elements referring to soundtracks of... western movies. "RIVERSIDE have found their style for good," says Duda, "and widened their horizons. It's a quirky mix of contrasts, western movies, road movies and slavic melodies. All that, together with incredibly emotional fragments, creates an exceptional and original combination. It has very little to do with the music of the bands we used to be compared to." "Perhaps it is easier for me to evaluate this release because I'm a little more on the outside," he says. "For me, 'Wasteland' is a synthesis of those elements from the entire history of RIVERSIDE that I like most. But there's also a lot of new things! There is the emotional weight of 'SLS' but also the space of 'OOM', there is the twisted guitar blow of 'ADHD' and the melodiousness of 'LFATTM'. And then there's a new kind of storytelling, something I haven't heard before. It's very epic and cinematic, these are music pictures. An empty road, dust, burnt soil and the main character tormented by sad experiences. The end but perhaps also a beginning? These are the things I see. And however silly it sounds, at the moment for me it's the best and the most coherent RIVERSIDE album." 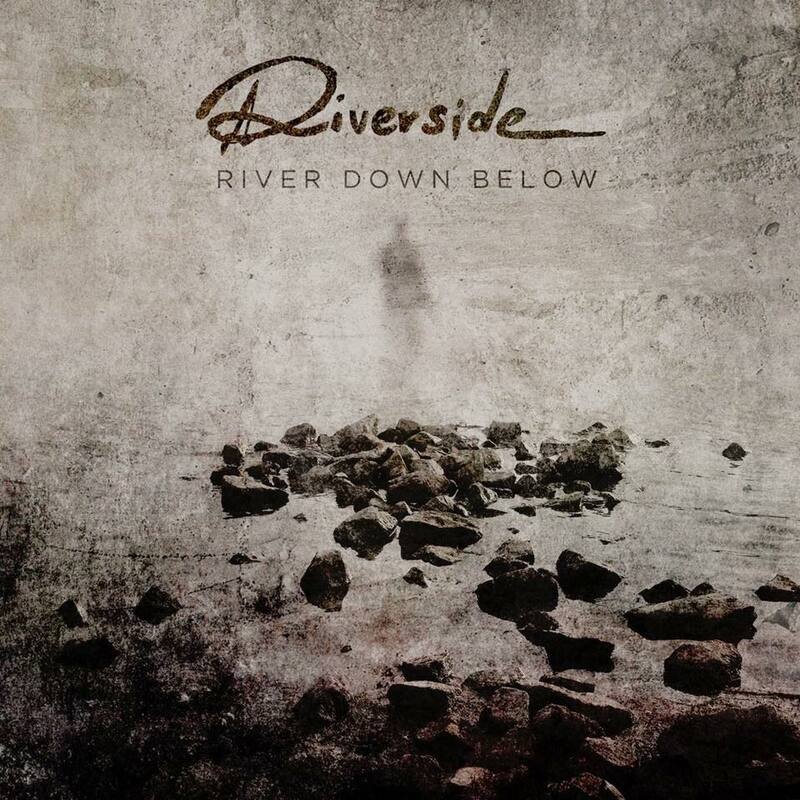 Mariusz Duda: "I've been listening recently to the whole discography of RIVERSIDE, to the way our music has changed. There are a lot of production flaws on the early releases but there is also innocence and the non-repeatable, specific kind of emotions, depth, the 'inner scream', which was later lost. It resurfaced for a moment on the black album of my solo project, Lunatic Soul, but got lost somewhere as well. I don't know if it's a good thing or not, but these kind of emotions, this depth is back on 'Wasteland' and it's back with a vengeance. 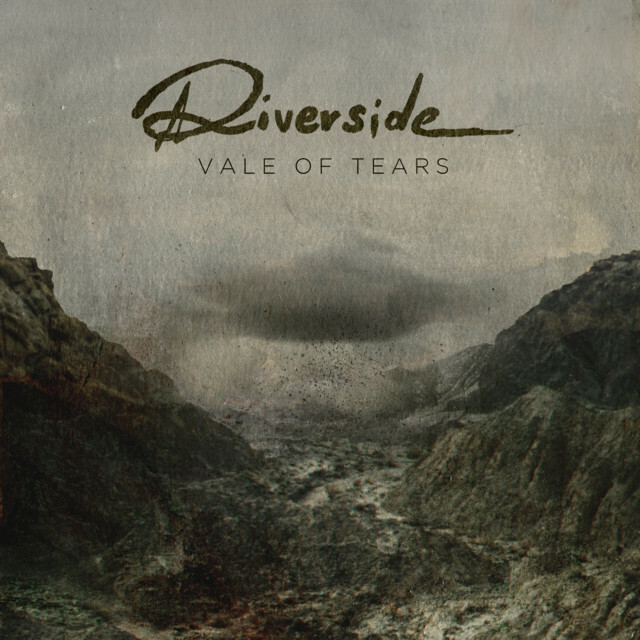 I honestly can't remember listening to new RIVERSIDE music with tears in my eyes, and there are such moments here. The music very often grabs you by the throat. I have recently released two solo albums, 'Fractured' and 'Under the Fragmented Sky', both talking about coming to terms with a loss, but those were the stories told by someone who had already made the decision to get up from their knees and start a new life. 'Wasteland' grabs you and says, 'wait, tell me more about what had happened before, tell me how you felt at the beginning, tell me what you haven't told me yet'. And so I go back. I go back to the darkest moment. And it turns out that I had saved the 'inner scream' for last. It looks like I had to finally deal with it in RIVERSIDE." 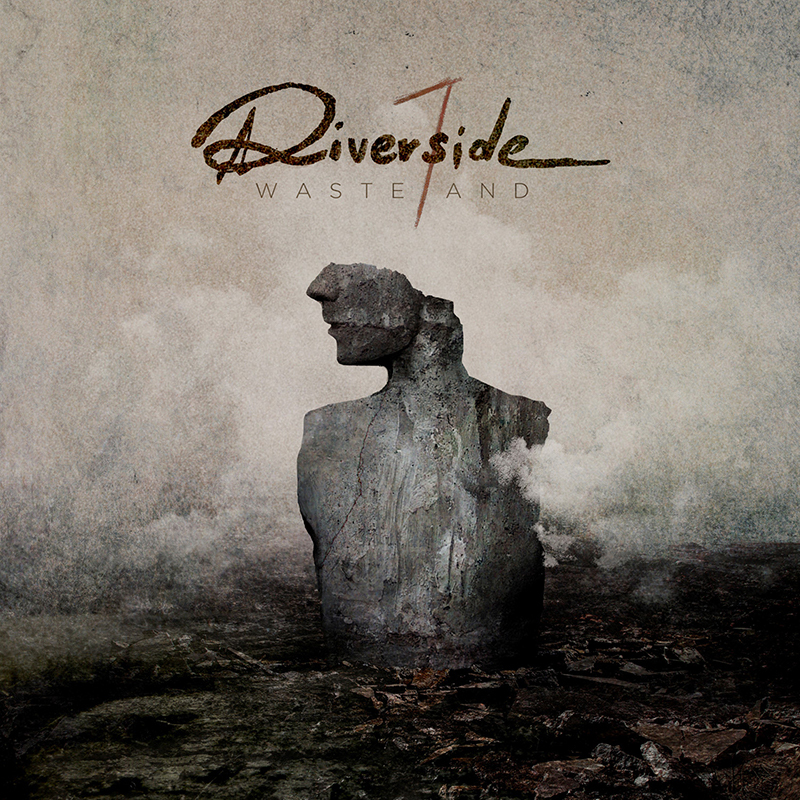 "Wasteland" is an exceptional release which clearly underlines the most important elements of RIVERSIDE music. The incredibly emotional nature of each of the tracks has a huge potential to move every listener. 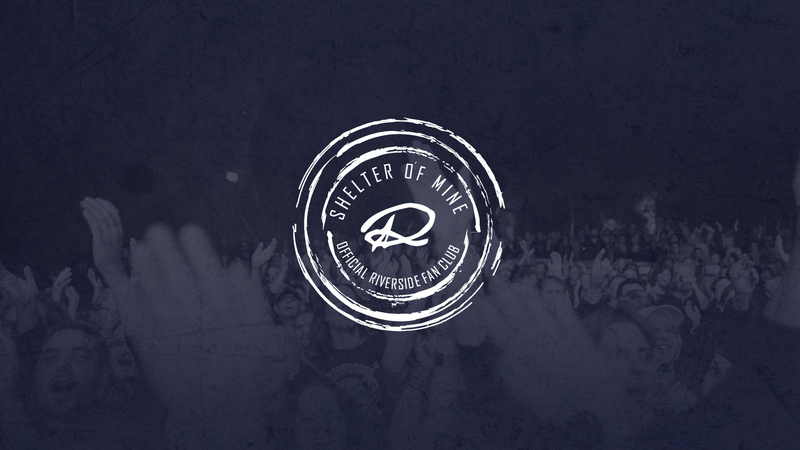 The seventh album of the band marks a new chapter, a new hand, a new beginning. We will find out whether RIVERSIDE together with their guests stood up to the pressure and the formidable task on September 28th. And in mid October, the band will go on the "Wasteland Tour", their biggest tour yet. The concerts in 2018 have been planned in bigger than before venues in Europe and more legs of the tour will take place in the spring of 2019. 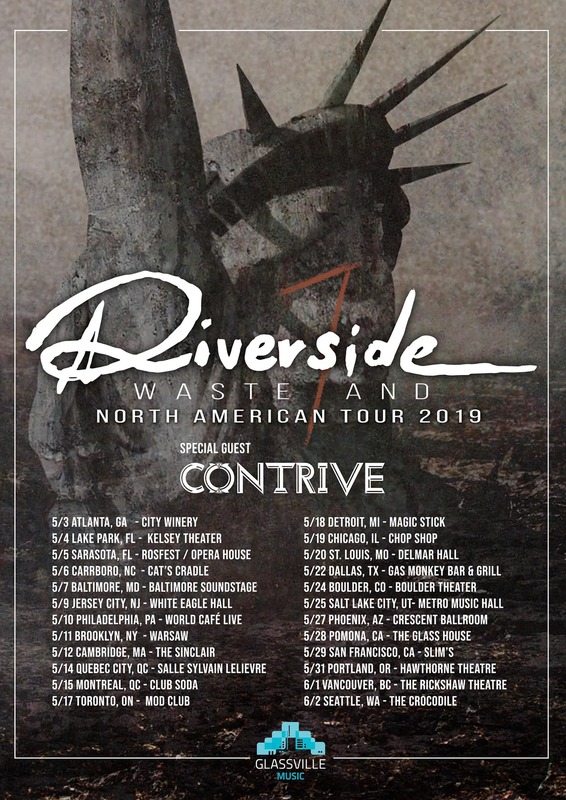 Riverside – “Wasteland” album artwork and first release details! We are pleased to announce that our upcoming seventh studio album “Wasteland” will be released via our longtime label partner Inside Out Music on September 28th, 2018. Attention! More album details, its pre-order option as well as a first single will be launched on July 27th, so stay tuned for more news soon! 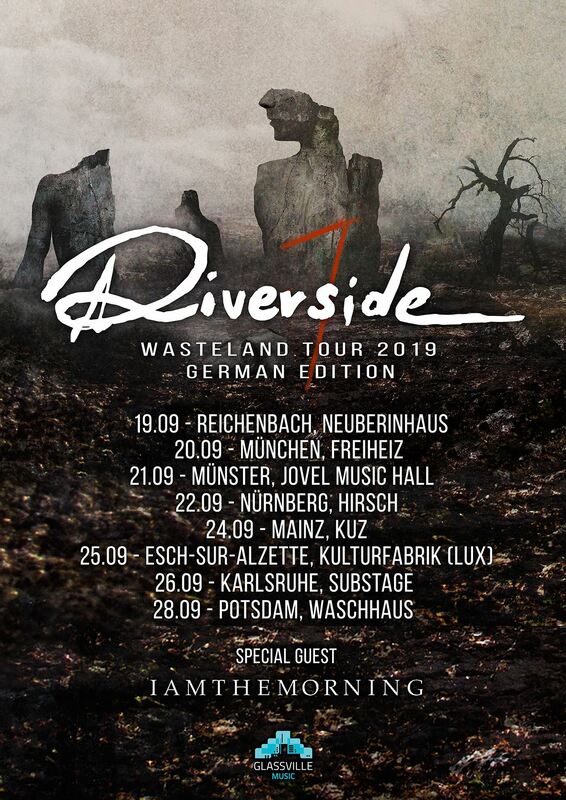 After having just performed on a string of European festivals including the prestigious Night Of The Prog festival at the historic Loreley Amphitheater in Germany last weekend, RIVERSIDE are next embarking on the “Wasteland 2018 Tour” throughout October/November to support the release of their upcoming album.